The Sardine Run is the annual migration of fish and predators up the Eastern Cape coastline. It is the biggest mass migration on the planet and ocean scientists are still trying to fully understand the reason why the sardines migrate. 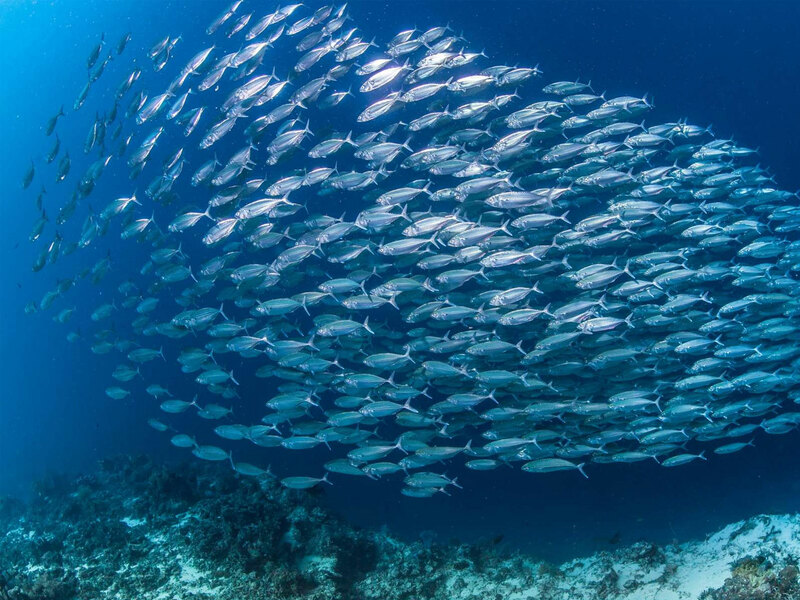 Regardless of the reasons, we get the chance to experience this mass migration from beneath the waves and each year Dive the Big 5 offers diving packages suitable for those curious divers wanting to see the fish up close. 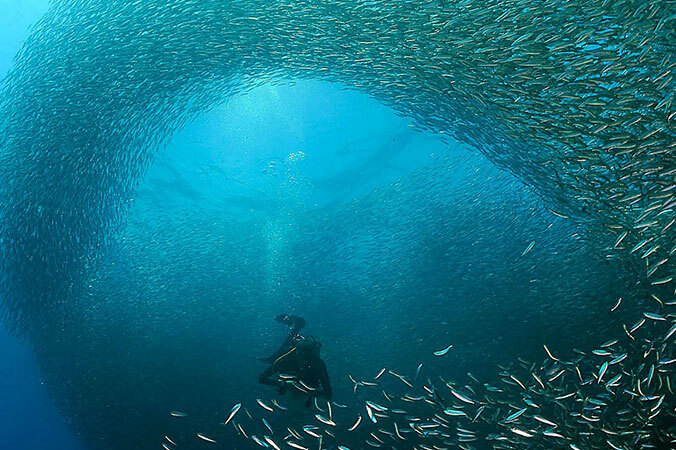 The Sardine Run is one of the most eagerly awaited events of the year; for locals, divers and fishermen. Generally taking place on the Natal South Coast, one of the earliest records of this event dates way back to a newspaper clipping from the Natal Mercury from the 2nd of August 1853. Fast forward a bit to the 1930’s and 1940’s, and Indian fishermen were making a living off of their catches from the Sardine Run. These early fishermen faced overwhelming challenges in terms of the steep competition and their fishing remained confined to the Durban area. Everyone wanted the easy catch that the migrating sardines presented and at one time there were up to 40 boats at Vetch’s Pier while the entire stretch of coastline from Durban to Port Edward was filled with those hoping to make some money. At that time, the shoal was so big that some of the fish would beach due to lack of oxygen. Even those without the crude fishing rods that were so often relied upon could take part in the fishing by scooping up those beached fish while still fresh. People would be so eager to get a catch of their own that they would run into the water with buckets! Such practices soon gave a new name to this event: sardine fever! A large part of the Natal coastline has shark nets to keep swimmers and surfers safe. But while the Sardine Run is in progress, these nets become a big danger for those sharks following the migration. While the nets are now lifted during the Sardine Run, in the past when they were kept lowered and sharks would inevitably get stuck in them and often die as many nets could not be seen to for many weeks. In 1971, during one of the most incredible migrations, over 1000 sharks were stuck in the nets over a 10 day period. Ever since then, the Natal Sharks Board made the decision to lift the nets and allow the sharks to catch prey safely. Diving companies have their own itineraries and operate up and down the coast during the migration. Instead of travelling along the coast with these companies, it is sometimes best to choose and stay in one location. To see as much of the action as possible, it is best to put in the time and effort, such as spending as much time as possible on the water. When diving, you won’t only be seeing sardines but you’ll also be seeing the predators which include sharks and seabirds. The things you will see can change from one day to the next, so don’t worry about getting bored! The 2018 shoal has come and gone and now is the best time to book your tour for 2019! Get in touch with us to find out more!